Cool simplicity - huge balcony and ample furniture. Thorough cleaning each day. Wonderful position with panoramic views. Incredibly useful position right by sea and a first class Restauraunt. Superb staff. Everything was fantastic, the place the staff the food and accommodation was fantastic. Would definitely recommend to anyone. We arrived late nothing was any trouble at all. Simple accomodation not a fancy place. Was happy with the location close to the beach and nice view from the taverna. The owner and staff were helpful and made us feel welcome. Everyone on site was so friendly and helpful I felt very welcome. Lovely views over the bay from Flyers cafe, great breakfast, beautiful location. Try a flight with Nikos,highly recommend. The property is located in an ideal place in Pefkos, next to the beach and a five minute walk to the main strip where there is lots of bars and tavernas. Nikos and who owns the Andreas is very hospitable and will do anything to make your stay comfortable. Lock in a great price for Andreas Studios – rated 9.2 by recent guests! Andreas Studios offers self-catering accommodations in a quiet area of Pefkos. The Studios are just 150 feet from the beach and 2.5 mi from the archaeological site of Lindos. All rooms are simply decorated, comfortably furnished and include tea and coffee making facilities. Air conditioning is standard. Andreas Studios offers a bar and common family room for all guests. The attentive staff can arrange for rental car or offer tips on what to see or do around Pefkos. Right next to the property, you can find a cafe-tavern, where you can enjoy breakfast and lunch while admiring the sea views. 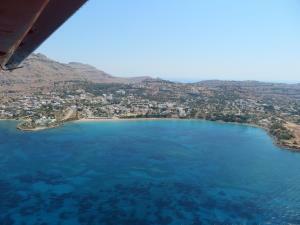 The center of Pefkos is 1,000 feet away, while the scenic village of Lindos is at 2.2 mi. 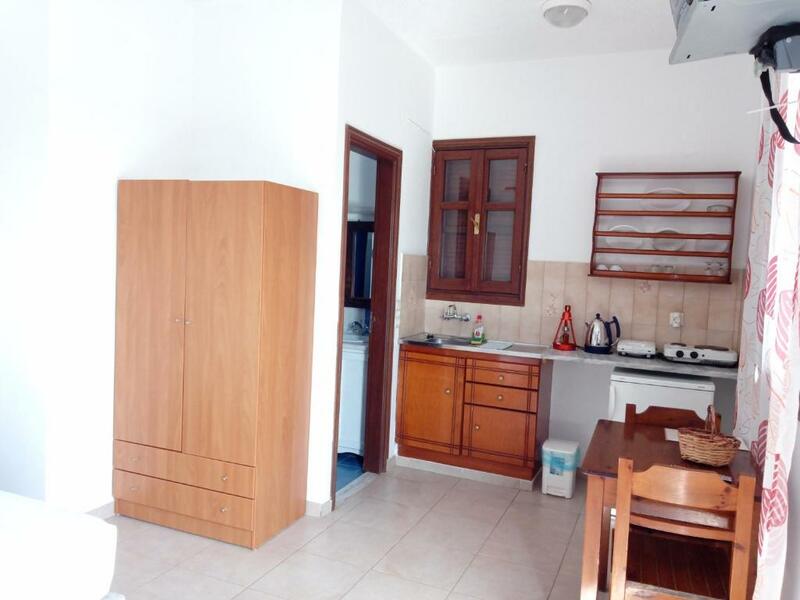 This property also has one of the top-rated locations in Pefki! Guests are happier about it compared to other properties in the area. 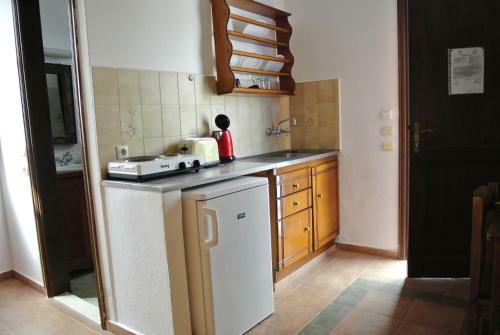 This property is also rated for the best value in Pefki! Guests are getting more for their money when compared to other properties in this city. 뀐 Located in the top-rated area in Pefki, this property has an excellent location score of 9.7! When would you like to stay at Andreas Studios? Just 197 feet from the beach, this ground-floor, air-conditioned studio includes a kitchenette with fridge, toaster, electric kettle and cooking hobs. A TV and a spacious balcony are featured. Please note that top-floor studios are also available on request and upon availability. Just 197 feet from the beach, this air-conditioned apartment includes a kitchenette with fridge and cooking hobs. Andreas studios are placed on Pefkos beach since 1987! It's a family accommodation and we are trying to give the best of Greek hospitality. Our visitors: they can enjoy a life-time experience by flying over the island with our private airplane! My name is Nikos , I m leaving in Pefkos since 1997 when I opened my Cafe next to our studios-apartments. My Father Andreas was the owner of our studios before me! I love flying and I have a small 2-seater airplane next to our Studios on a private air-strip! It will be a pleasure to visit us and give us the chance to offer you the authentic greek hospitality!! Andreas Studios & apartments are next to Pefkos main Beach! An ideal location if you like to relax and enjoy the sun! Just 4 kms away you can find Lindos with the famous Acropolis and unique Sandy beaches! Lardos village , a small traditional greek village it's also 3,5 kms away. Great Greek nights every Friday with lots of wine and local mezes! House Rules Andreas Studios takes special requests – add in the next step! Andreas Studios accepts these cards and reserves the right to temporarily hold an amount prior to arrival. In our studio the opening (so to say door) to the wonderful and spacious roof terrace was very small. Danger for hitting your head. The roof terrace itself would be even more beautiful if there was some kind of separation "wall" to provide more privacy for all adjacent roof terrace users. Had virtually no wifi connection from the room and no instruction how to use the tv and satellite channels to find something in English that wasn’t news! Could improve on this to make it a bit easier. I have nothing negative to say about the property however, I do think it would be a nice gesture if Nikos family could include the price of sun beds for their guests on their patch of the beach instead of charging them. Just an idea. First of all Nikos is such an amazing host he could not do enough for us! Our flight was delayed and we didn’t arrive until the early hours of the morning and he went out of his way to make sure we got in comfortably and with food waiting for us! Amazingly he also personally gave us a lift when the location of our pick up transport changed last minute. He literally dropped everything and took us. Absolutely warm and lovely person. The room was clean and had a great view of the sea. Location was perfect for Lee Beach (you could see it from the apartment) all staff were very attentive and Flyers restaurant (also Nikos’) which is also excellent was only a minutes walk away. Overall we couldn’t recommend this property enough. Thank you Nikos and your wonderful staff. Could have done with more kitchen utensils.No welcome pack! Lovely large terrace with sea view, nice bedrooms, secure, nice friendly and helpful staff. The dish rack was prone to making things slip out and break. Due to a small lip on it plates were inclined to fly out and break which could have resulted in injury. Shower was a bit too close to toilet for comfort but this was really a minor issue.